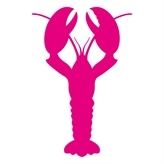 Lobster Ink is driven by a dynamic and diverse team, inspired by excellence, innovation and continuous improvement. Lobster Ink is the world's leading hospitality platform, training hundreds of thousands of learners in over 100 countries every day. We are a rapidly growing business built from a solid foundation, but flexible enough to respond to the trends of the market and our users. We are driven by our goal to stay at the forefront of technology-driven learning in professional environments. We believe in creating learning solutions which understand the way that people learn in the modern working environment. Our emphasis on quality and innovation can be seen by the cutting edge implementation of the .NET infrastructure underpinning our new learning platform. Using technologies like Angular, GraphQL, and Azure, we are forging a new path in creating a scalable, dynamic platform built for rapid development. We work closely with Microsoft architects to get the most out of our Azure infrastructure. Want to get notified about new jobs at Lobster Ink Technologies?